Forgetting Windows login account password could be a real disaster,if you don’t have Windows password reset disk made before,this occurence would force you to factory reset your computer and lost all your files.Luckily,you can reset your password easily if you have set up security questions previously.This tutorial illustrates you how to add security questions to local user account in Windows 10. Step 1. Open setting page.Navigate to Account>Sign-in Option>Password. Step 2. 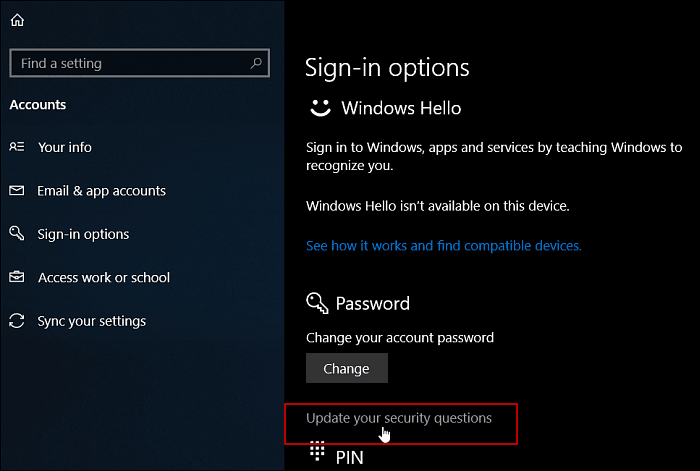 Click the Update your security questions link.You might not see this option,it’s either because you are uisng local account without a password or running Win 10 1709 or prior version. Step 3. Enter your local account password When you are prompted the verification request box. Step 4. When the following list of security qustions appears,choose one and type in your answer. What’s the name of the city where you were born? What’s the name of the city where your parents met? What’s the first name of your oldest cousin? What’s the name of the first school you attended? 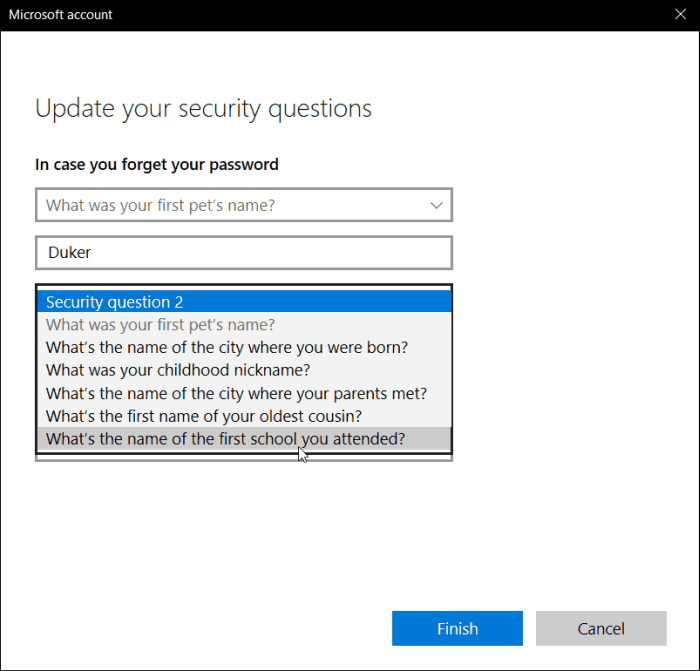 Note: You do need to set up all three questions with answers.When you forget your Windows login password,these security questions with correct answers will save your life. 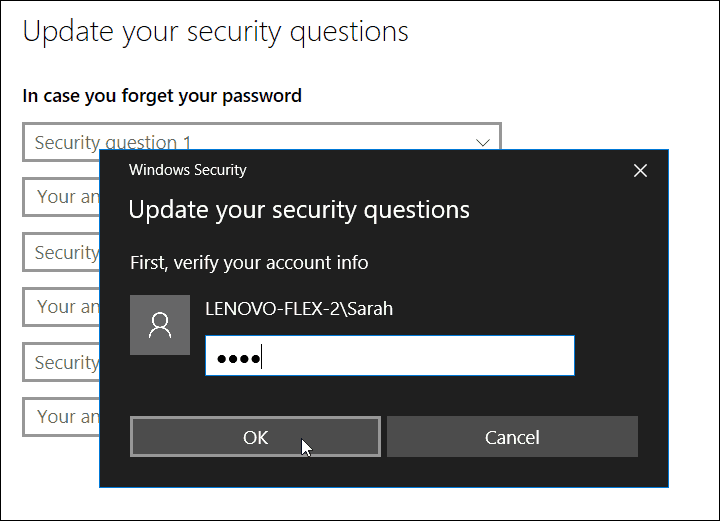 You might ask “what to do when I forget my login account password and have no security questions added previously?”,no worry,you don’t have to do a factory reset in this event.Windows Password Key is a series of programs aim to help people reset Windows login password when they get locked out of their Windows login screen.You can learn from here.